Where I live, we get A LOT of snow, and cold. (Thanks Mother Canada!!) So I change up my skincare routine around this time in the fall to prepare for the cold!! My skin type: I have acne prone, Oily, Dehydrated skin! First thing in the morning in the winter, i go into the bathroom and splash this non-drying toner from Marcelle all over my face. I find, I don't like to wash my face with a cleanser in the mornings in winter! After splashing my face with the toner, I'll then go head and dot this Simple Nourishing day/night lotion onto my face! I don't use a lot, but I don't use a super small amount either! 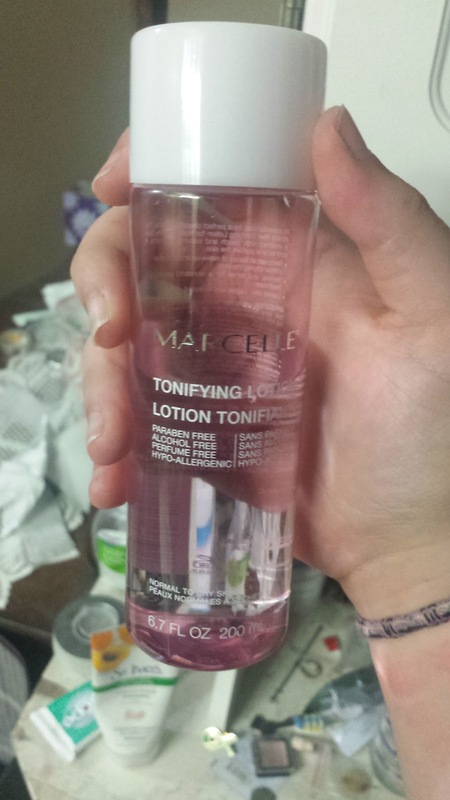 Then i'll follow up with my SPF after this lotion has set! I'll start off my night time skincare routine by taking a makeup removing wipe, and just gently rubbing that onto my face to remove the bulk of my makeup! 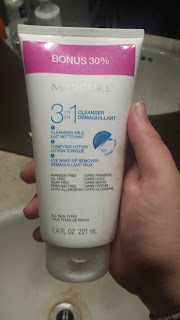 After I remove with the wipes, I'll then take a bit of this Marcelle 3in1 cleansing lotion, and just massage it around my eyes to make sure ALL of my eye makeup is removed. 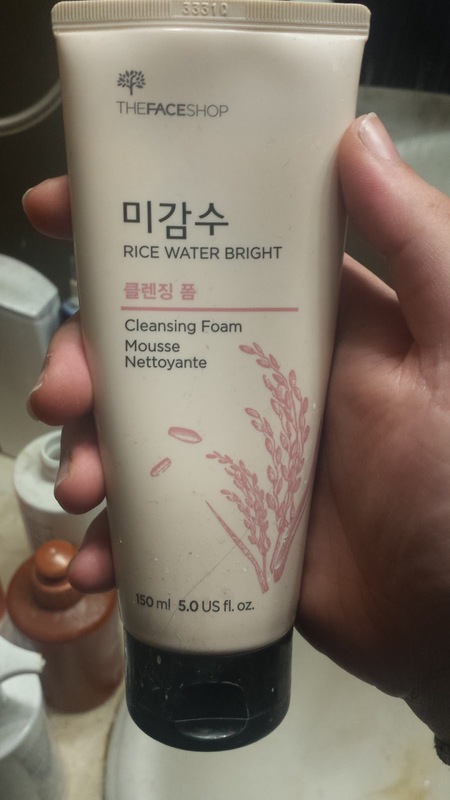 Then I'll wet my face, and gently wash my face with this, The Face Shop Rice water bright cleanser. It foams up, and leaves my easily dehydrated skin feeling comfortable and soft! I'll then pat my face dry. Then pump out 1 full pump of this Garnier Dark spot remover. It's a liquid exfoliator, that I'v used every single night since July. And it's been working AMAZINGLY. I go without foundation a LOT now! I'll let you all in on a secret. I used to have SEVERE Cystic acne. To the point it HURT to sleep on the side of my face. 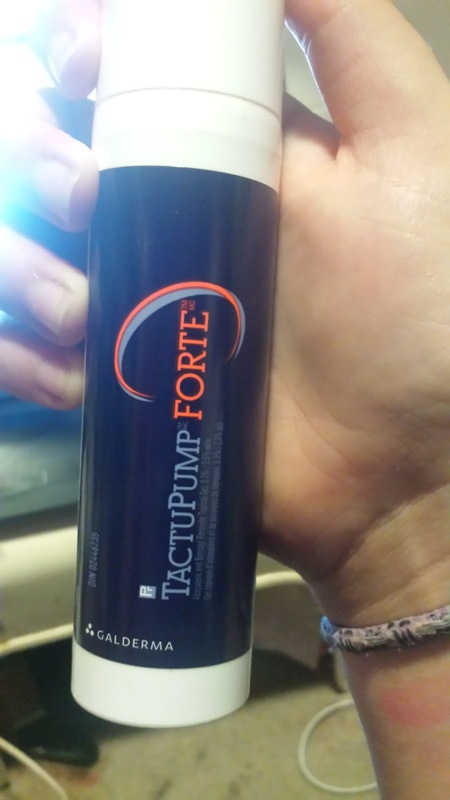 So I talked to my doctor, and she sent me to a dermatologist and I was prescribed Tactupump Forte. This cleared up ALL of my cystic acne!! I currently have ZERO spots. And haven't had any for a while!! The only negative about this topical treatment, is It's VERY drying!! I'll let the acne lotion sink in and set. 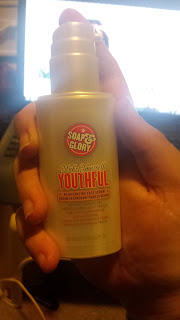 Then ONLY in the winter do I do this, But then i'll take a pump of this moisturizing serum from Soap and Glory. 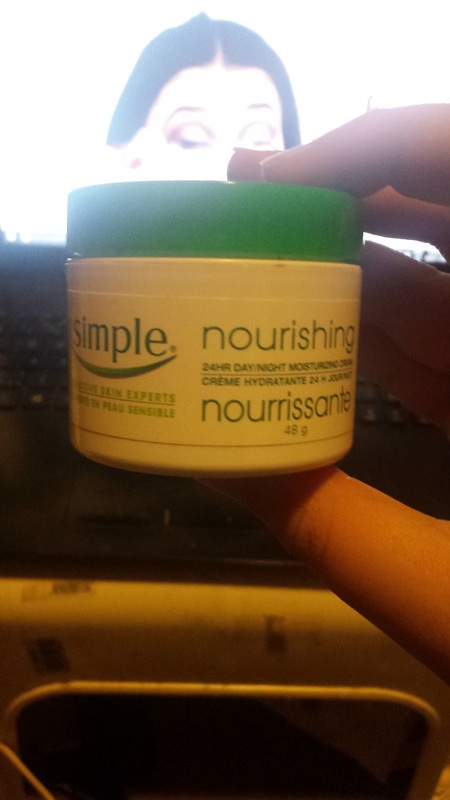 It keeps my skin feels soft and bouncy! 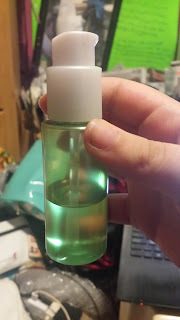 Lastly for my face, I'll pipe out half a pipette of this BE Argan oil! And I'll warm it up between my hands, and then i'll pat it all over my face and neck! I have really bad Keratosis Pilaris on my arms. Like we are talking, my arms are BRIGHT red 24/7, and itchy, and dry!! After I get out of the shower at night, I'll smooth some of this Paula's Choice 10% AHA lotion onto my arms! This is again, a liquid exfoliant. And it helps to clear the pores on my arms. 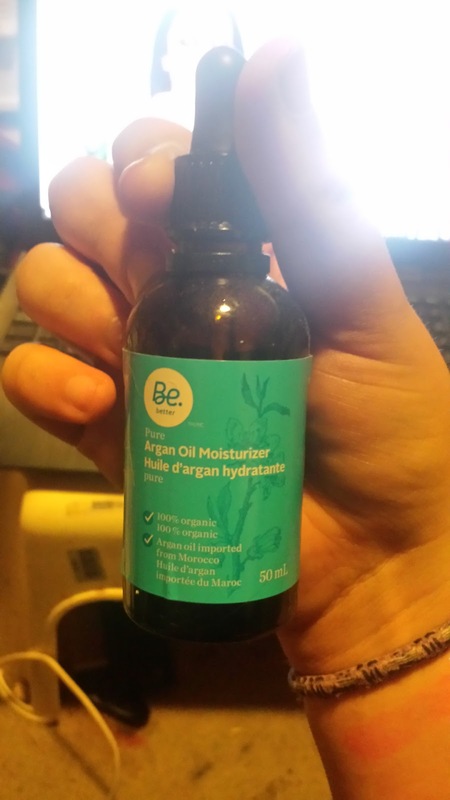 Because the skin on my arms doesn't do it, itself naturally!! 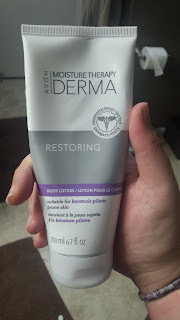 Then I'll use this Avon Derma Restoring lotion, that's made exactly for people like me!! With keratosis Pilaris, You have to moisturize your arms to help heal it. BUT if the lotion is too HEAVY/Moisturizing, it'll just clog my arms pores and make my KP worse!! 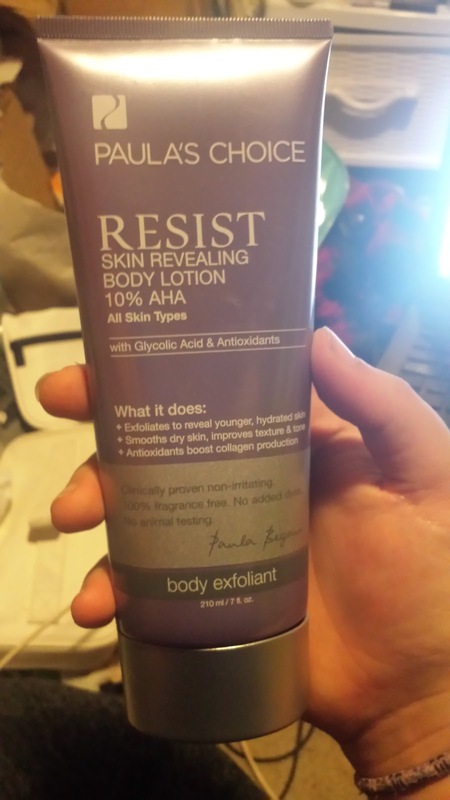 This lotion is almost perfect In my eyes! That's it, for my updated winter skin care routine!